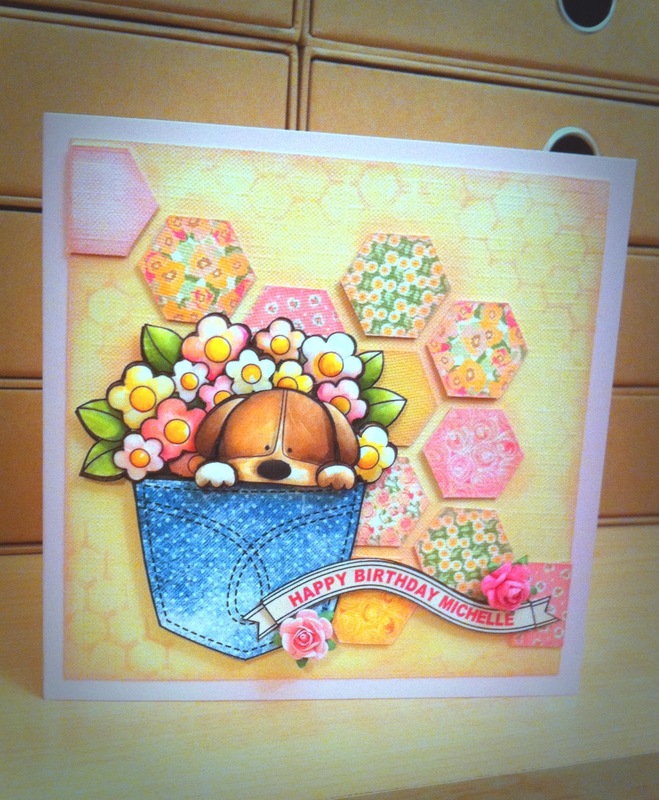 Sally sent me a photo of a birthday card she created with Pocketable Puppy image. The papers are so lovely and I love that she combined the puppy image with hexagons. So trendy! I'm not sure if she has her own blog or not, so leave some lovely comments for her on this post! Absolutely gorgeous, love the design! Wow! Sally's card is amazing! She really brought the puppy to life, and I love the hexagon background!